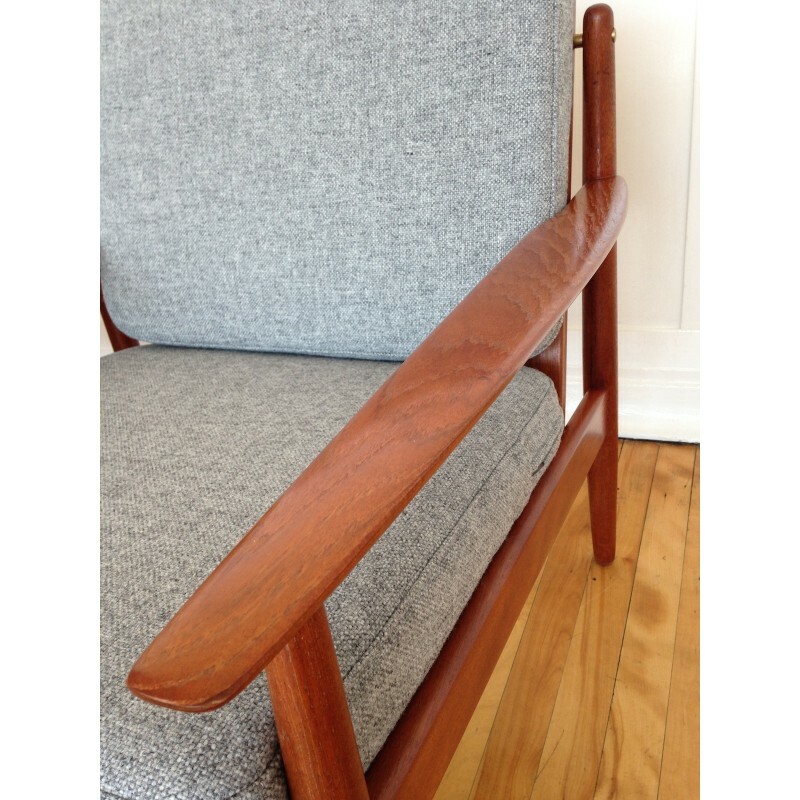 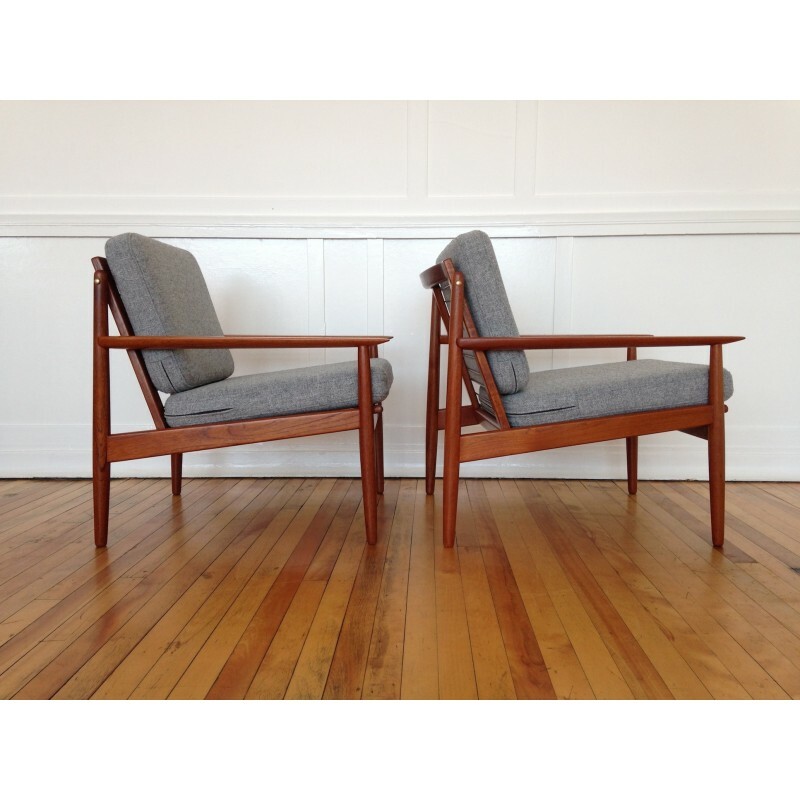 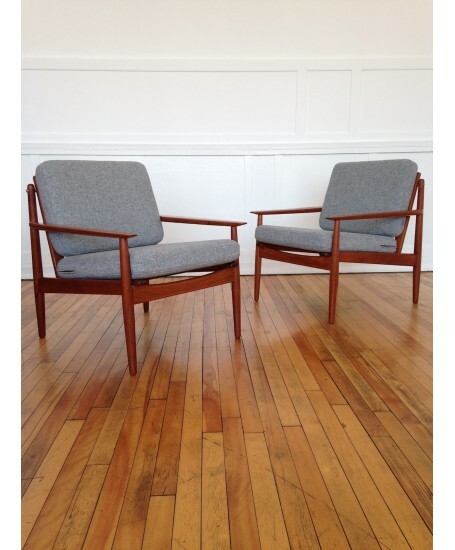 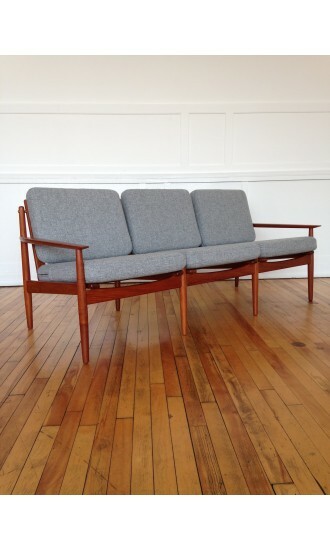 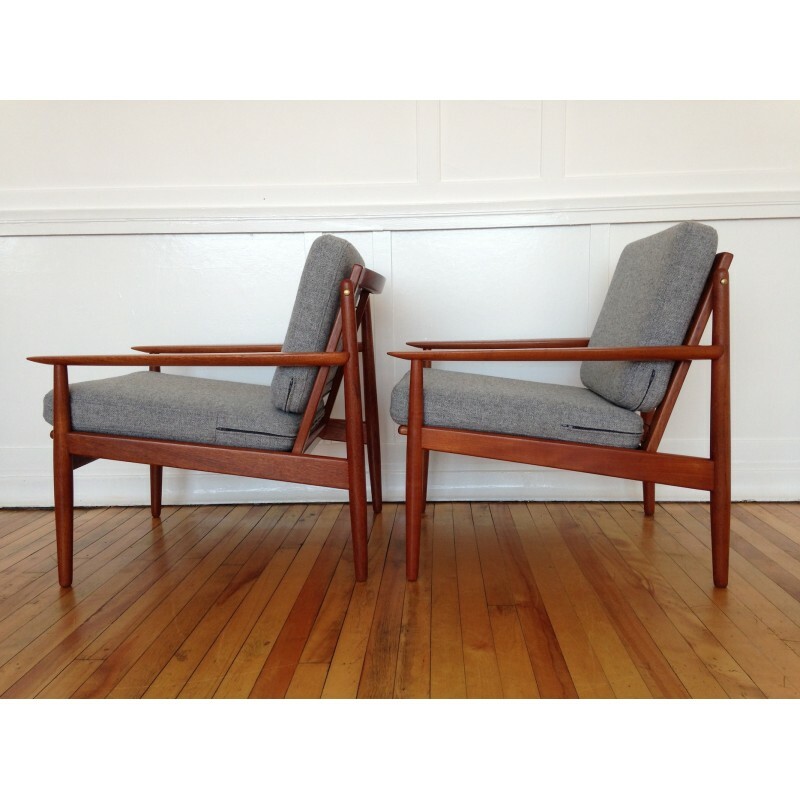 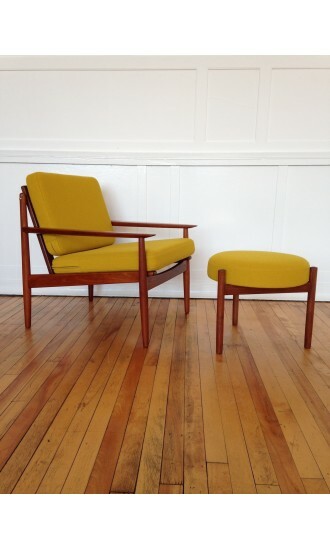 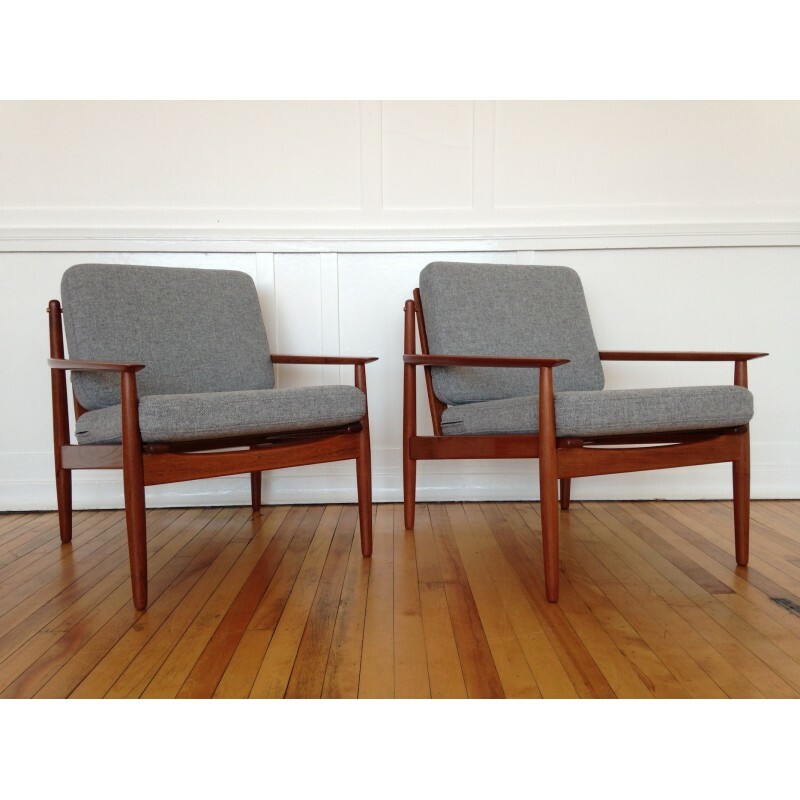 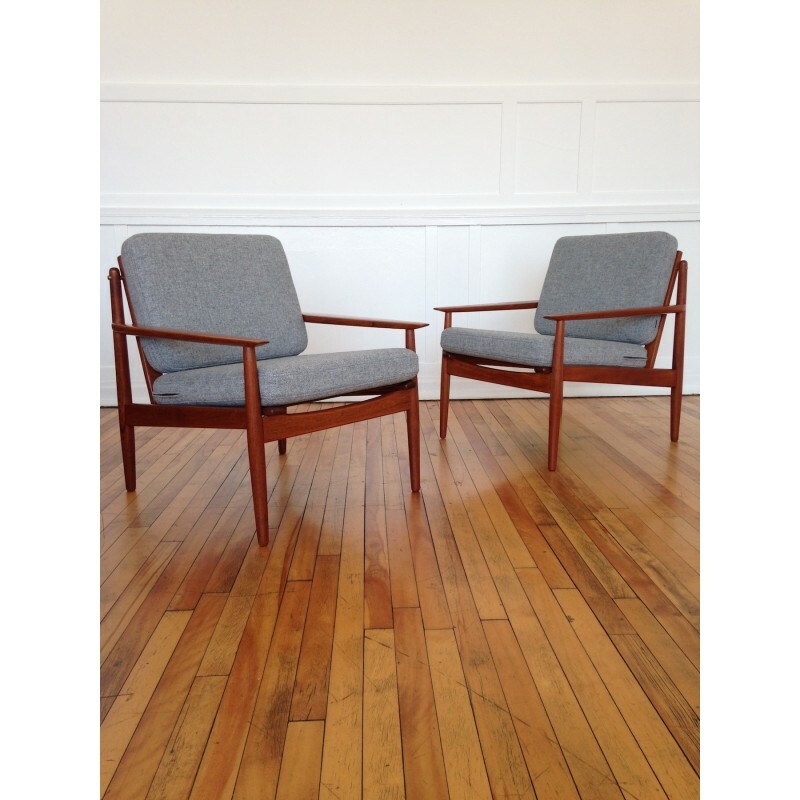 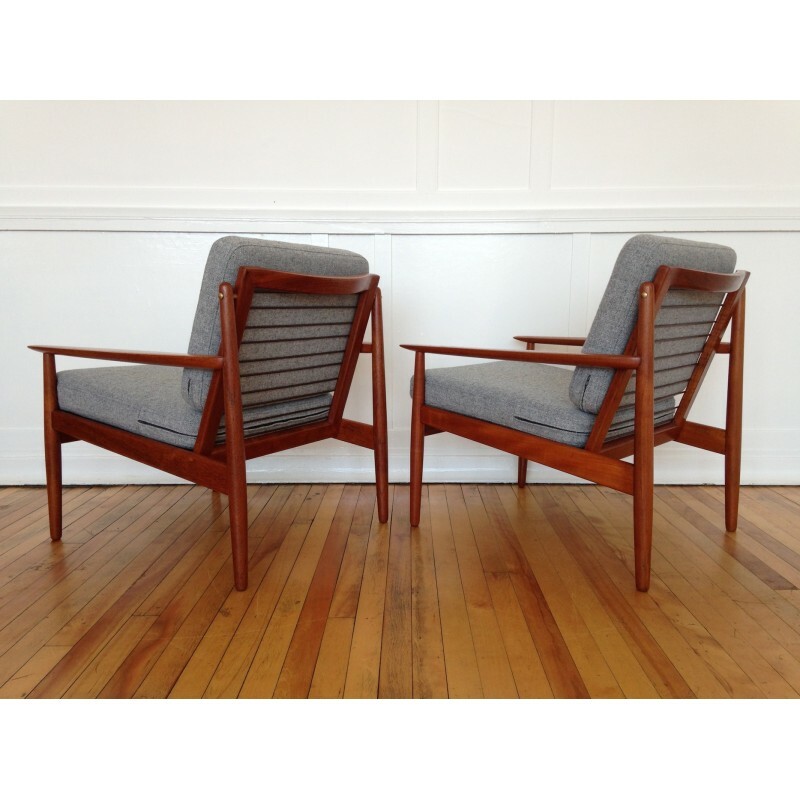 A stunning pair of teak armchairs designed by Arne Vodder and manufactured by Glostrup, Denmark. 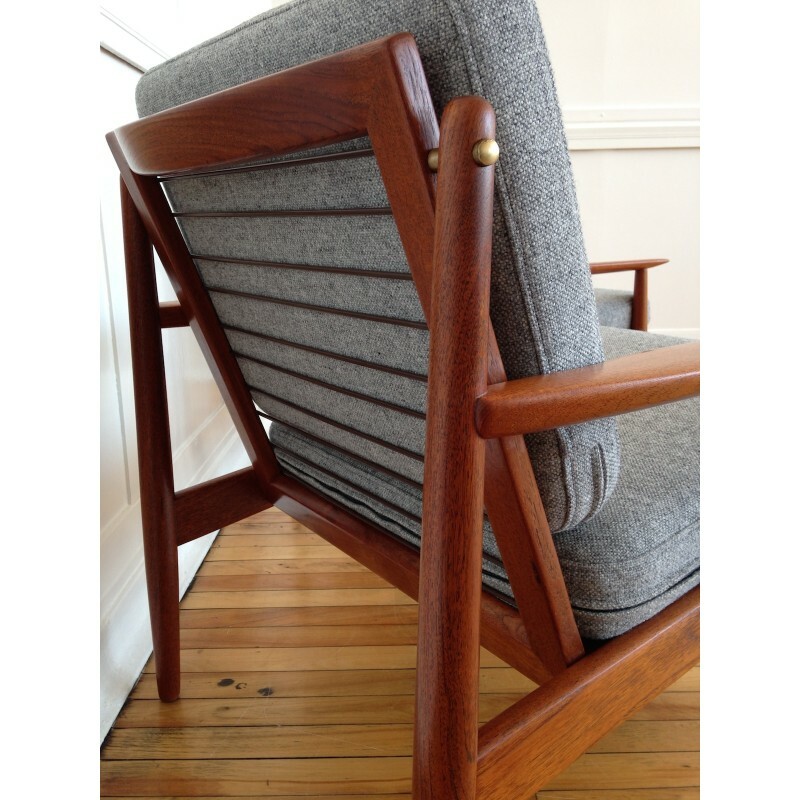 The chairs are made from solid teak and having been sympathetically restored, are in wonderful (like new) condition as can be seen in the photos. 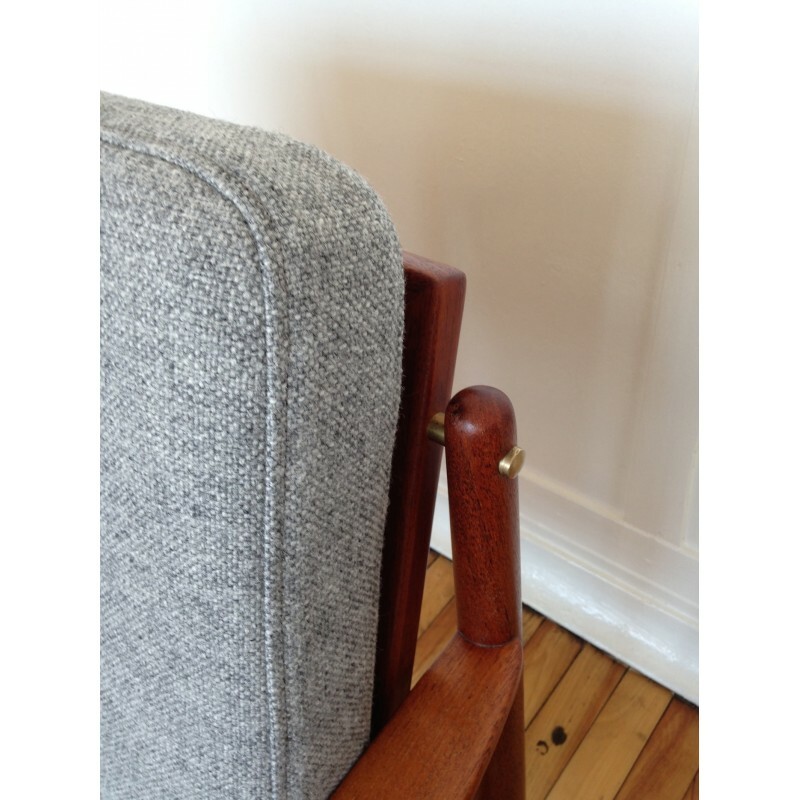 The solid brass fittings just ooze quality. 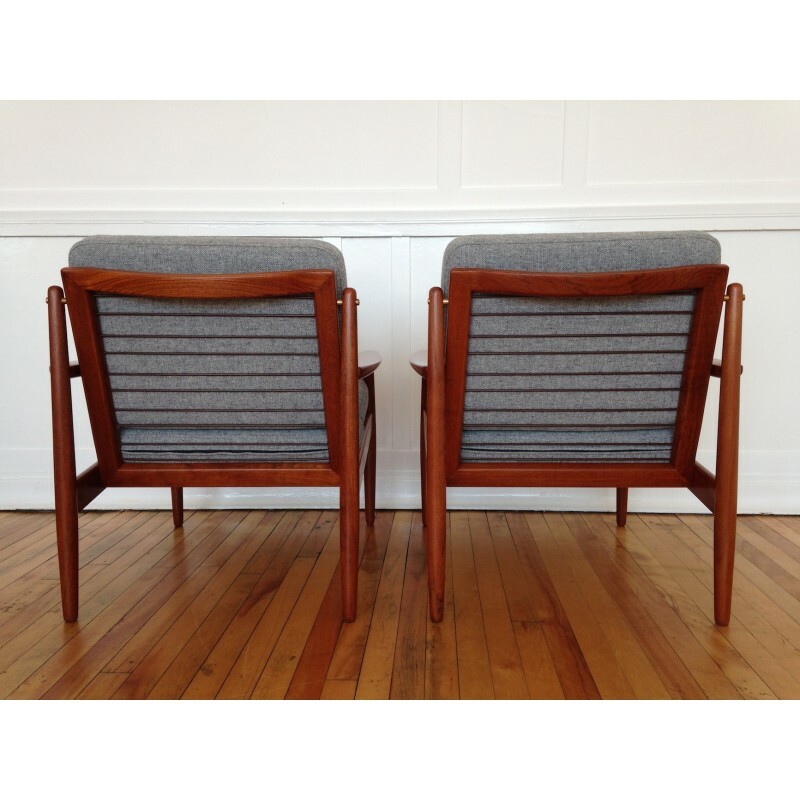 The chairs have been fully re-upholstered. 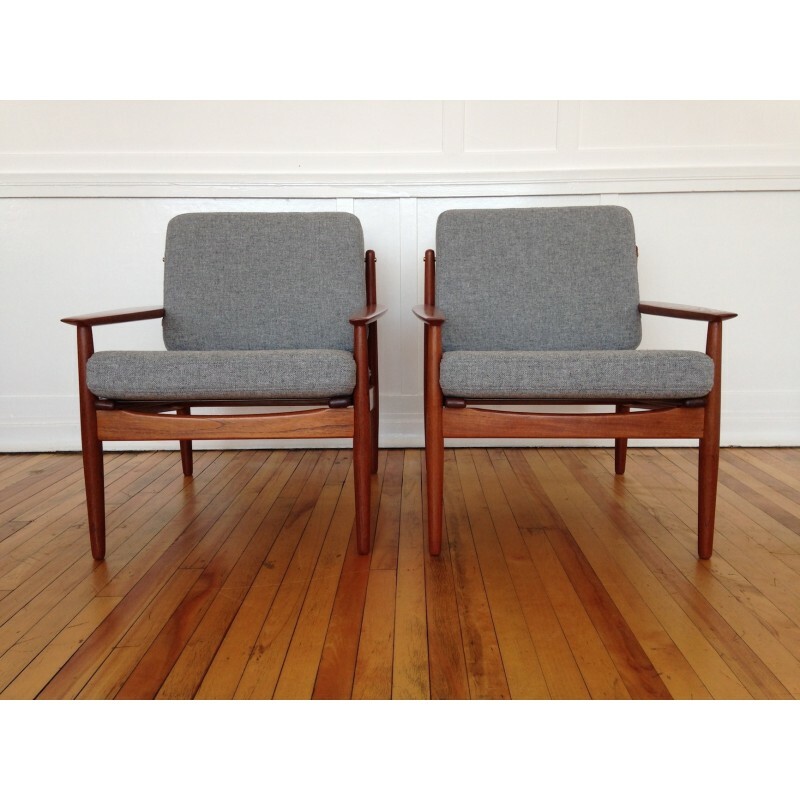 New foam cushions of the highest quality have been finished in an amazing grey wool from Kvadrat's Hallingdal collection. 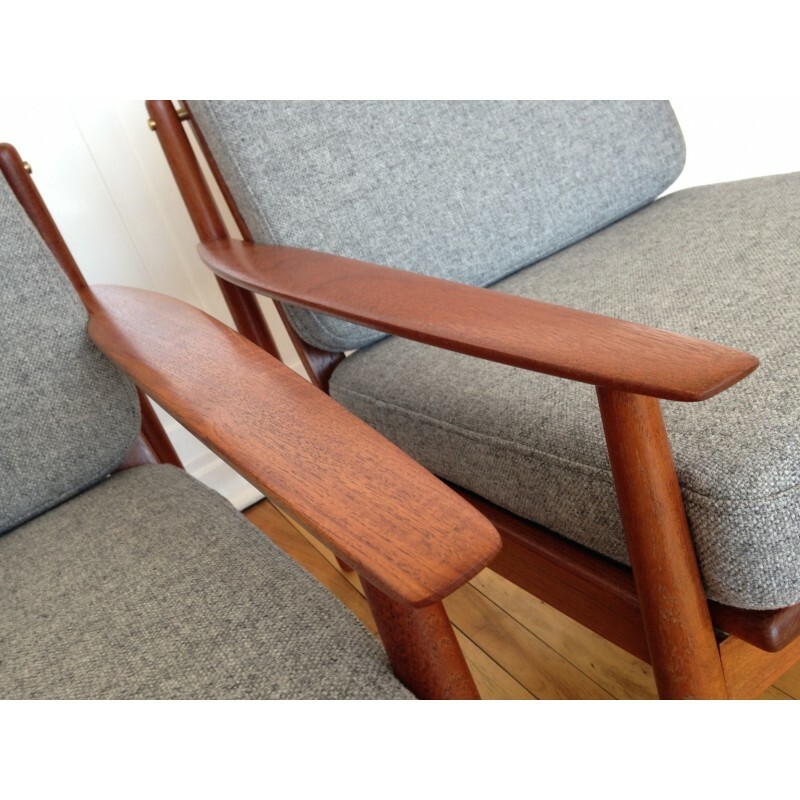 Very importantly as they are visible, the original springs on the back of the armchairs are present and in tact. 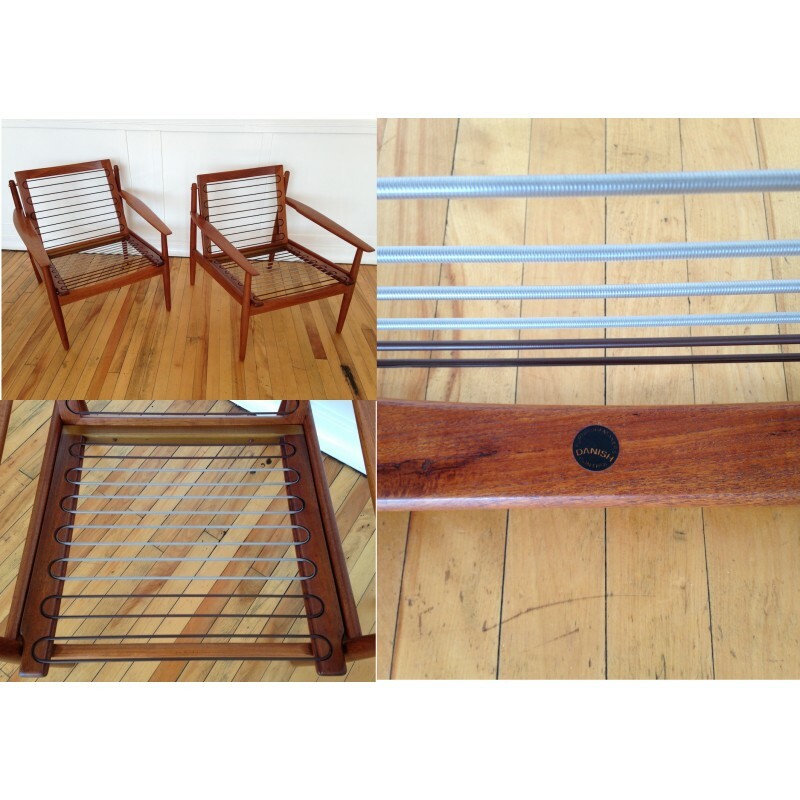 The majority of the original springs under the seat cushions (which are not visible) had lost some tension, so we have replaced these with brand new springs as can be seen in one of the photos.